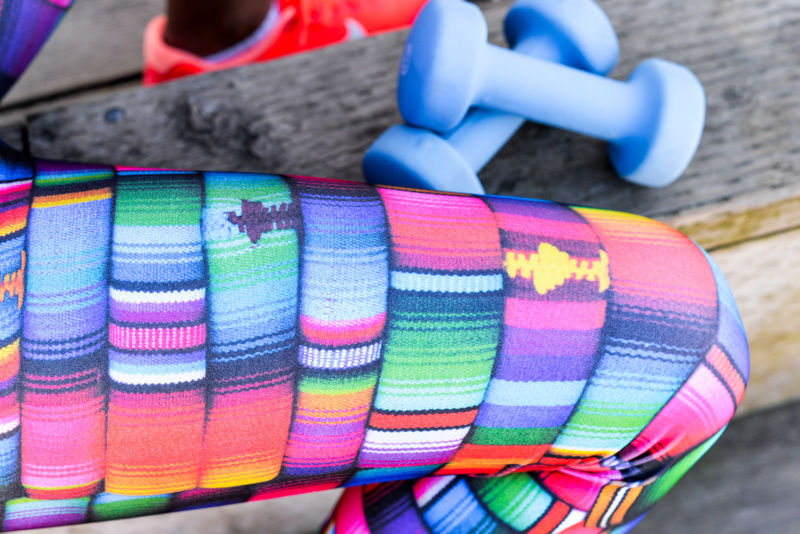 This week’s rendition of fashionable activewear consists of fiesta pants! These flashy things bring the saying, “party in your pants” to real life! 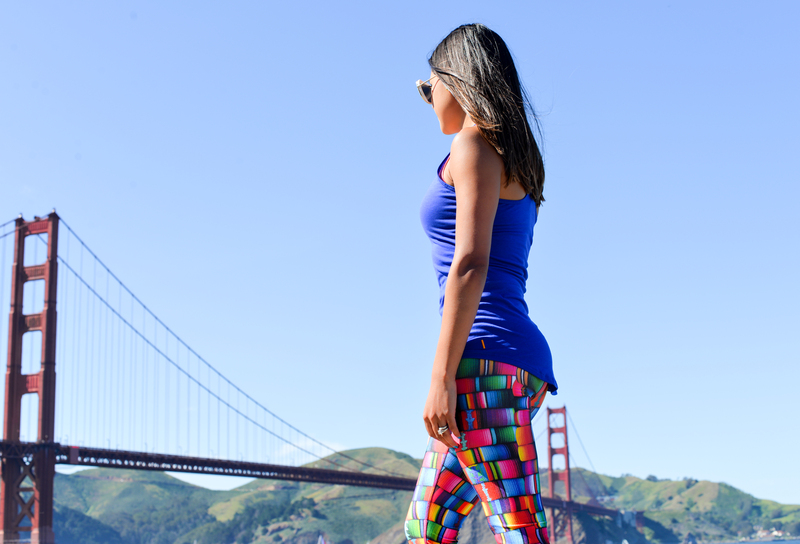 Inspired by a Latin American textile, the Serape Performance Capris by Terez are dreamy. Constructed out of a polyester and spandex blend, these crop pants are perfect for the barre, spin, bootcamp, and everything in between. The elasticized waist features a slimming waistband while the compression fit smooths your imperfections. 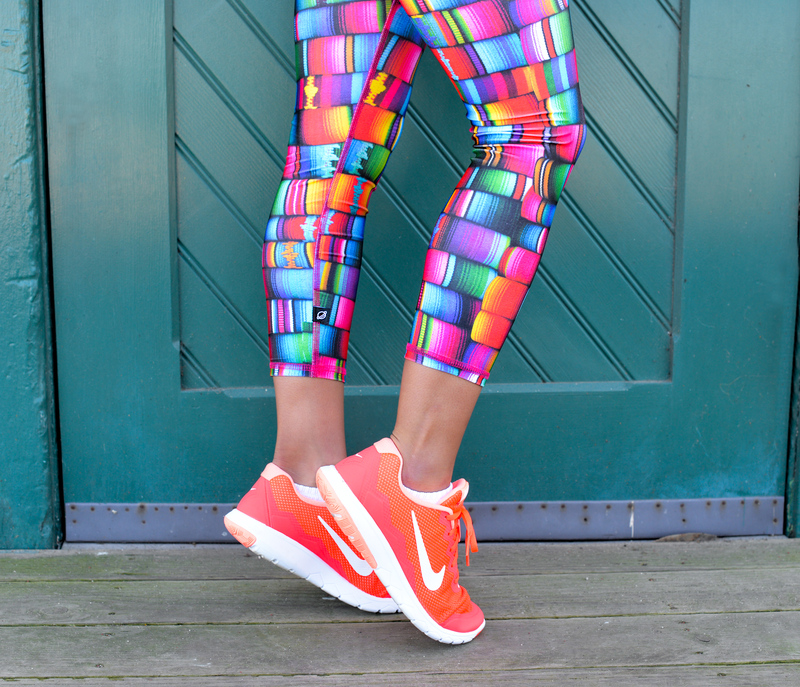 More importantly, these capris pass the slouch test. There is nothing more distracting than having to adjust your garb during an intense workout. I am happy to report these capris do not slouch, bag, or move when in motion. With a lot going on below the waist, I styled this exercise look with a solid tank. The “Workout Racerback,” by Lucy, has become my favorite top – this is a significant development as I was sold on the Cool Racerback for the last several years. I currently own black and blue, but hope to add a couple more into my Bar Method uniform rotation. I love the flat seams and long shirt tail – extra back coverage is essential when wearing hot pants like these. 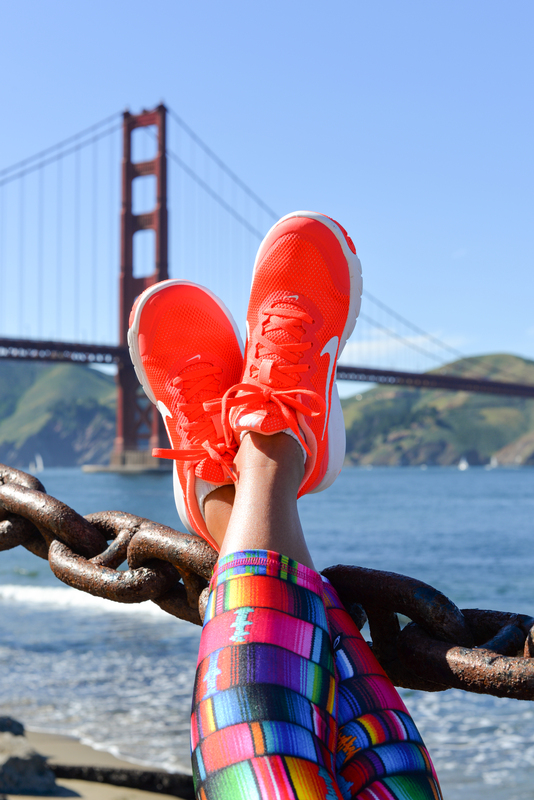 Finally, I gave my new Nike sneakers a test run. Hopefully I did not blind any tourists! 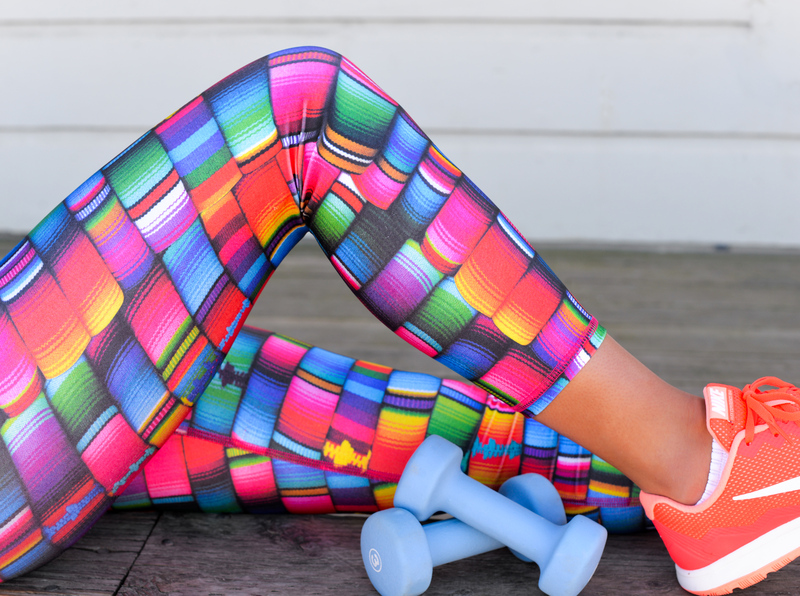 April 19, 2016	by Kelsey K.
Seriously, I'd work out just to wear this outfit, haha. Hahaha. You made me laugh reading this Nathy! I am so flattered that you like them. Thanks for stopping by. This is really a fun outfit. Love all the colors here and you look adorable. 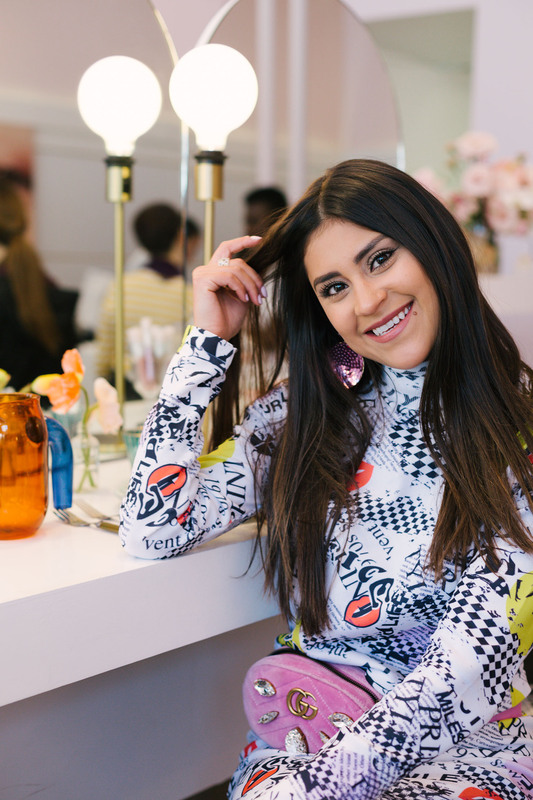 It is so cool that you found about it through a blogger event. I was so stoked when I was invited to the event, because it actually took place in the studio I regularly attend. Thank you for the wonderful compliment and I appreciate you stopping by.